Planning permission granted for Change of Use at First Floor 21 The High Street. 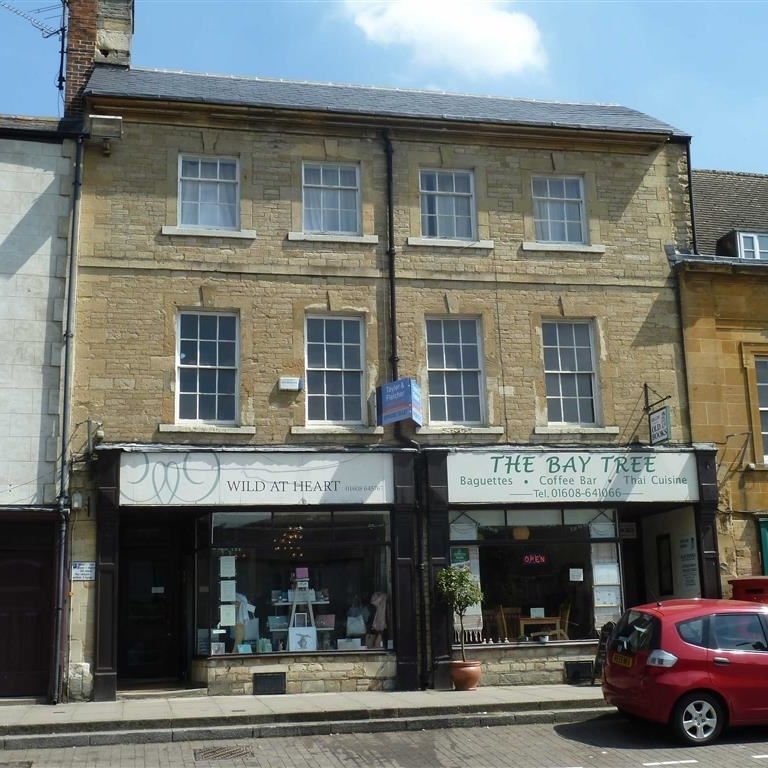 Offer accepted, and after an incredibly quick planning process West Oxfordshire have granted change of use for the first floor of 21 High Street, Chipping Norton from A1 into B1 Office use. Until recently the first floor was occupied by Kellow Books, who have now moved into a space to the rear of the Bay Tree Cafe. 21 High St is Grade II listed for group value with the rest of the High Street. Originally two houses, and now shops. Both were built in the 18thCentury altered in the mid 19th Century. Hopefully we’ll be in by Christmas! Early 20th Century changes to historic fireplaces at Foxcombe Hall. Despite the modern lighting, carpet and furniture, Earl Berkeley's Bedroom and Dressing Room of 1904, designed by Ernest George and Yeates, remain largely intact. Decorative relief plaster cornice and carved wood doors, the period fireplace with blue tiling. However, one thing I overlooked (until my recent meeting with Vale of the White Horse DC, conservation officer, Sally Straddling) was why were these precious tiles installed? ...and what the fireplace would have looked like originally? This was a good question, and on reflection is something that I have seen over and over again. Firstly at the Radcliffe Infirmary in 2011, and more recently at Somerville College. The fireplace in Berkeley's Drawing Room at Foxcombe 2017. In the colonies, Delft tiles became an expensive item as authentic copies could only be imported from Britain. It is not clear whether the tiles at Foxcombe were Dutch or a reproduction from England, nevertheless they appear to pre-date the 1904 Chimney. Hilary Grainger's recent book 'The Architecture of Sir Ernest George and Yeates' predominately illustrates exteriors and therefore doesn't provide a clue to the typical George and Yeates designs. Gavin Stamp's book on Lutyen's (Pupil of Ernest George) has a number of fireplaces similar to the fireplace at Foxcombe, such as the fireplace at Sullingstead See fig 1. Given the grandeur of the interiors carried out by Ernest George and Yeates at Foxcombe It seems most likely that the fireplaces at Foxcombe would have reflected the architectural fashion of open fires, reflecting the designs of fireplaces from the medieval country house. So why and when was it covered up? During the Edwardian period 1901-1914, the preoccupation as far as fireplaces were concerned was to achieve greater efficiency with less fuel consumption. Slow combustion techniques were constantly being improved. The cheeks of the fireplace would be made from fire-brick, splayed at the sides and with the back sloping forward, so to project more heat into the room. Often the grate was ventilated directly from outdoors to the fire did not draw a draught across the room. Chimney pieces took many forms, with an increase in the use of glazed tiles more elegant than in the Victorian Period, and often set within older period frames. So my assumption is that it was covered up by Albert Richardson as part of his 1935 alterations shortly after Rippon Hall purchased the House. The closing of the back would have improved the efficiency of the fire and the ancient tiles have proved a sympathetic and appropriate design solution of the time. So what to do? it would be lovely to see what is behind the fire boarding, but perhaps the tiles have more relevance now that the building has been taken over by Peking University. Perhaps the simplest thing to do is to find a suitable fire grate to install within the tiles - we shall have to wait and see. Elements of Style, Calloway S. Octopus Publishing London 1992. Edwin Lutyens Country Houses. Stamp G. Aurum Press, London 2001. 9 and 10 Ship St are Grade II listed properties owned by Oxford City Council. The properties are on the Medieval Town wall and are timber framed. A short heritage snapshot revealed that both 9 and 10 Ship Street, retain surviving building fabric from the medieval wall of Oxford, which survive within the cellars. Both properties were re-faced and re-roofed in the 18 Century whilst elements of the timber framed structure seems likely to date from 1643-1675. According to the Inventory of the City of Oxford, 1939, No. 10 Ship Street was re-fitted in the 18th Century and No. 9 has a newel staircase. At this date both properties were in a good condition The listing description confirms that no 10 Ship St was altered in 1969, however, from our initial inspection of the surviving fabric and a verbal description of previous alterations provided Oxford City Council, it appears that both properties were substantially altered at this time. Oxford City Council have engaged James Mackintosh Architects Limited to prepare proposals for upgrading the building to comply with the stringent requirements of the HMO (House of Multiple Occupation) design guide and part B of the Building Regulations. Timber framed buildings are naturally difficult to upgrade for fire as there are often voids between floors and walls allowing a fire to travel from basement to second story. The good news is that there are many suitable construction details and specialist products to overcome this. Specified and approached correctly most are benign in conservation terms. An added complication is that in both properties there is no direct means of escape to outside, so alternative means of escape from the first floor are proposed. We have currently prepared a strategy to for escape and to avoid additional claims whilst the work is on site plan to prepare bespoke details for upgrading each and every junction. James Mackintosh Architects are pleased to have been appointed by Peking University to act as Heritage Consultants supporting AJP architects with their alterations to this incredible site at Foxcombe Hall, Boars Hill. A wonderful opportunity to be involved in the sensitive development of the site, making it suitable for Peking University for many years to come.